Ask us about our Hotel Galvez location upgrade options! Galveston elopement wedding packages are a show-up and get married experience that may be customized to fit your destination wedding or elopement needs. Therefore, these options are perfect for the couple that does not want to plan a wedding full of details! When looking for an ideal wedding for just the two of you or a small group of under ten, Galveston offers a simple yet beautiful backdrop for your beach or garden wedding elopement. In addition to planning ease, our elopement collection will afford you a beautiful and professionally documented memory that sets a special tone outside of a dated wedding chapel experience and regimented courthouse or justice of the peace vow exchange. We understand that a meaningful ceremony in a romantic setting would make for a beautiful wedding day experience. As a result, we’ve developed several simple, yet affordable beach and garden ceremony options for your wedding! Set in a beautiful garden or on the sands of a Galveston’s beach, our Galveston Elopement wedding packages is an ideal romantic elopement package for couples wishing to experience this meaningful ceremony that’s virtually effortless to plan. Whether you’re planning a couple only nuptial or an intimate ceremony for less than ten, this package offers the essentials with room for customization. Select the package as is or customize it to make it uniquely you! Galveston elopement ceremony pricing starts at $895.00. Galveston elopement ceremony with celebration starts at $995.00. Follow our contact page for complete details or to request a personal proposal of up to ten (10) guests! 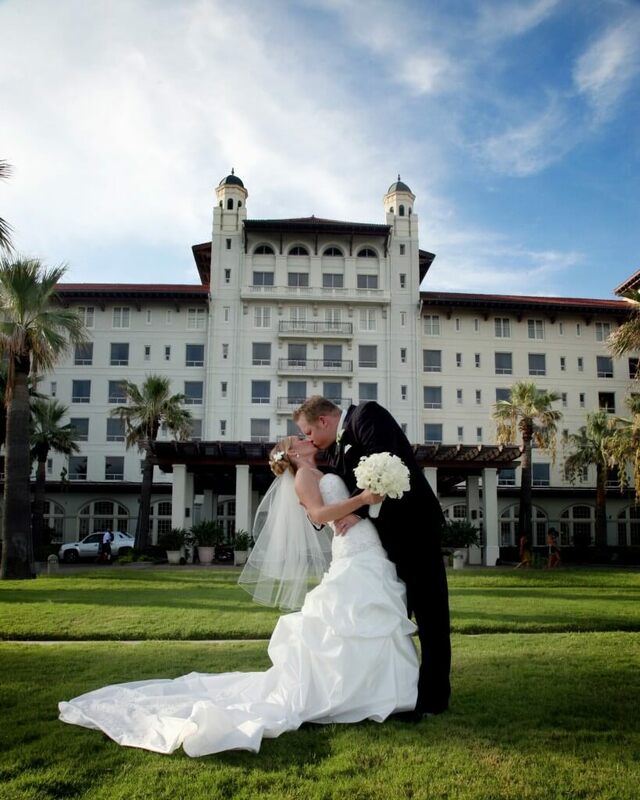 Are you looking for our Galveston wedding packages? Our Galveston all inclusive wedding packages are not only for garden and beach weddings, but will also work well with many Galveston wedding venue options. Ask us how we can help you build a Galveston all inclusive wedding package! Hotel Galvez :: New Upgraded Location Option! Perfect for a couple looking to elope within the month or so, we can offer Hotel Galvez as an upgraded location option. Exciting! View all the lovely details here. We love to talk wedding! Let’s us help you elope in Galveston! Don’t forget to like and share us on Facebook to receive $50 off your Galveston elopement wedding collection! We’ll send you our elopement questionnaire. There, we’ll learn about you and help you put together an elopement that is ideal for you. We’ll walk you through all the details and help you secure any hotel or lodging request. We can also schedule your elopement to include a honeymoon departure on a Carnival or Royal Caribbean cruise at Galveston’s Port!